Hello! I'm back with another card for Vicki's Flashback Friday Challenge. This is a new weekly challenge that Vicki started to get us using our old neglected stamps again. This week Vicki challenged us to use our old alphabet or number stamps. Now, I have A LOT of alphabet stamps and I hate to admit it, but I don't think I've ever used any of them. I have no idea why I even bought so many alphabet stamps. I hate them! They are so frustrating to work with. It's so hard to get them lined up correctly, even if they are clear stamps or you use a Stamp-a-ma-Jig. I just find it so much easier to use my computer if I need to create my own sentiment. 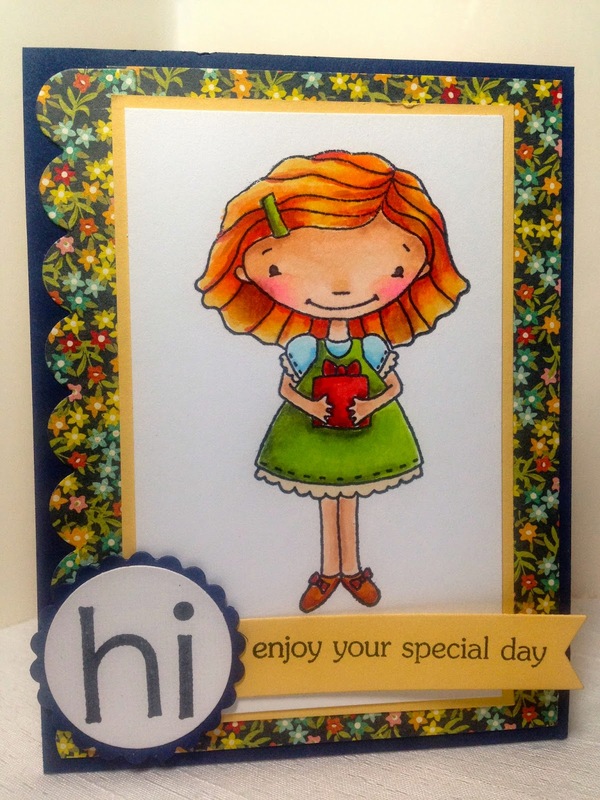 But I wanted to play along with Vicki's challenge and so I kept it really easy on myself and just made the word 'Hi' with my alphabet stamps. It's pretty hard to screw up a two letter word (But if you look closely, I still screwed it up. The letter 'i' is lower than the letter 'h' See what I mean? UGH!)! For my card, I combined a very old set, with a newer set, but they have both been retired (I think). My main image is from MFT and is called 'Party Time'. I bought it on clearance, so it must be retired. My retired alphabet stamp is from SU! and is called 'Contempo Alphabet'. The paper is Crate paper 'Farmhouse'. I stamped the word 'hi' with the SU! stamps and cut them out using Spellbinder's Nestabilities. Then I used a sentiment from the MFT set and cut it out with an MFT die. 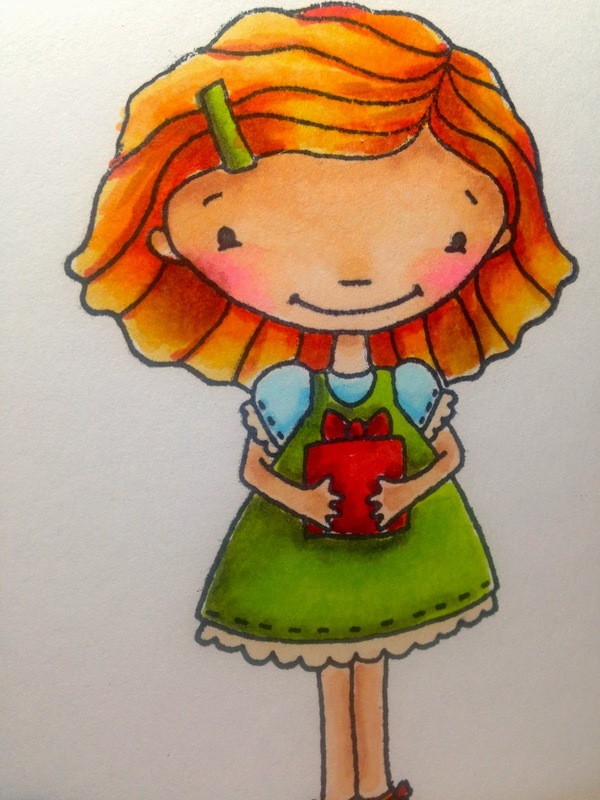 My image was colored with Copic Markers. The other colored papers are Night of Navy and So Saffron. I used an old MFT sketch (MFTWSC206) but I flipped it the other direction. If you'd like to play Vicki's challenge go HERE. I'm sure she'd love to see you! Very cute, Amy! I'm with Vicki...I think your HI looks just fine, and your coloring is perfect! Thanks for sharing ! Very cute card! I don't have many alphabet sets, but when I use them I stamp them crooked on purpose :-) Like you said it's too much of a hassle to stamp straight.